This is not just an academic study, but the children are involved with meeting their own of these needs, creating and serving food, caring for the environment, caring their own shoes and clothing, and sometimes even their own vehicles. There are often “continent boxes” or “continent folders” in the classroom that contain objects or pictures that show both the similarities and differences of clothing, etc..
After working at a Montessori school in Casablanca, and then traveling in Morocco with my hostess and her family, my grandson’s teacher asked if I would share with his classmates. So I prepared a “Moroccan” experience based on the study of Needs of Humans. 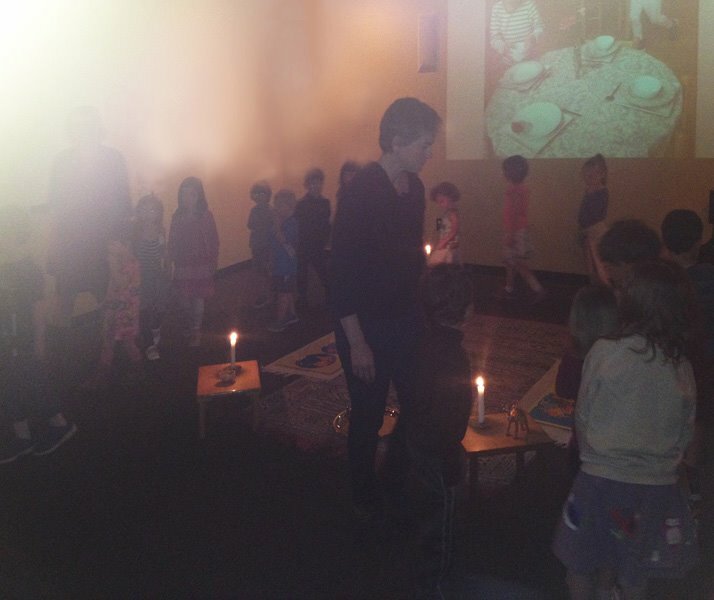 The children entered the room, lit by candles, to the soft musical recording of the Oud instrument, walked around the Moroccan Berber carpet and other items, such as a silver-colored tray and pot for making mint tea. Then they quietly gathered to see the pictures. They asked questions and contributioned to my explanations of the pictures, and even learned some Arabic words, such as the correct pronunciation of “Morroc” (Morocco ). 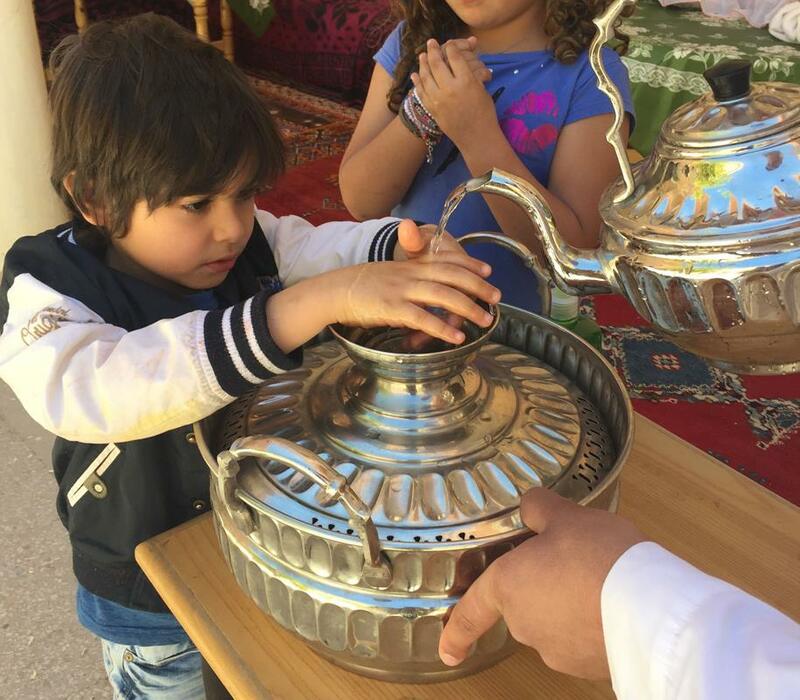 As they left the room each child was handed a mint leaf to taste, a typical herb for the most popular tea in Morocco, and said, “Shokran” (the Arabic for “Thank you”). The traditional way of washing hands before eating – as we did at a country school. 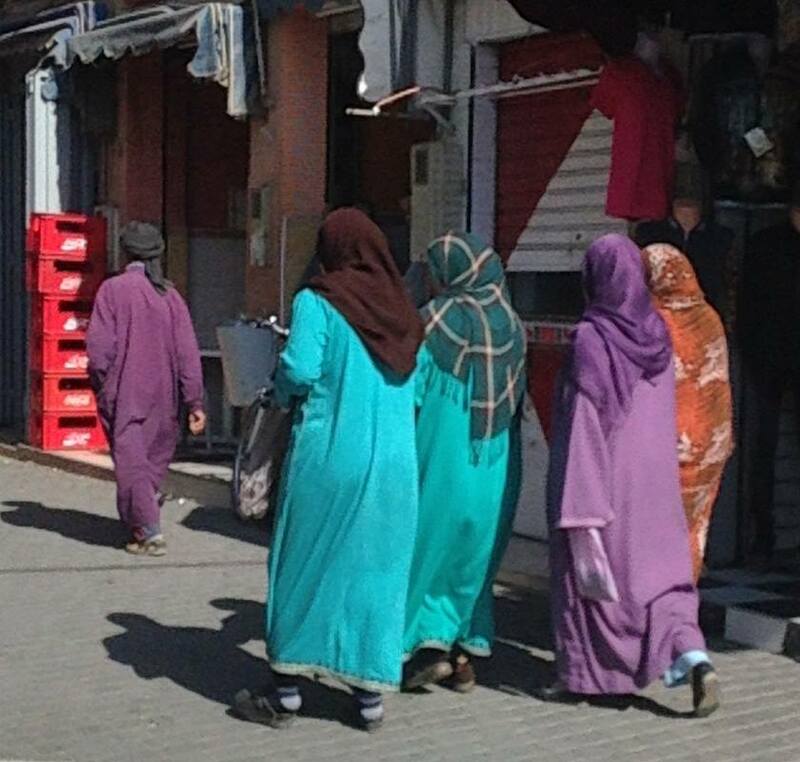 The lovely colored djellabas women wear – seen all over the country. 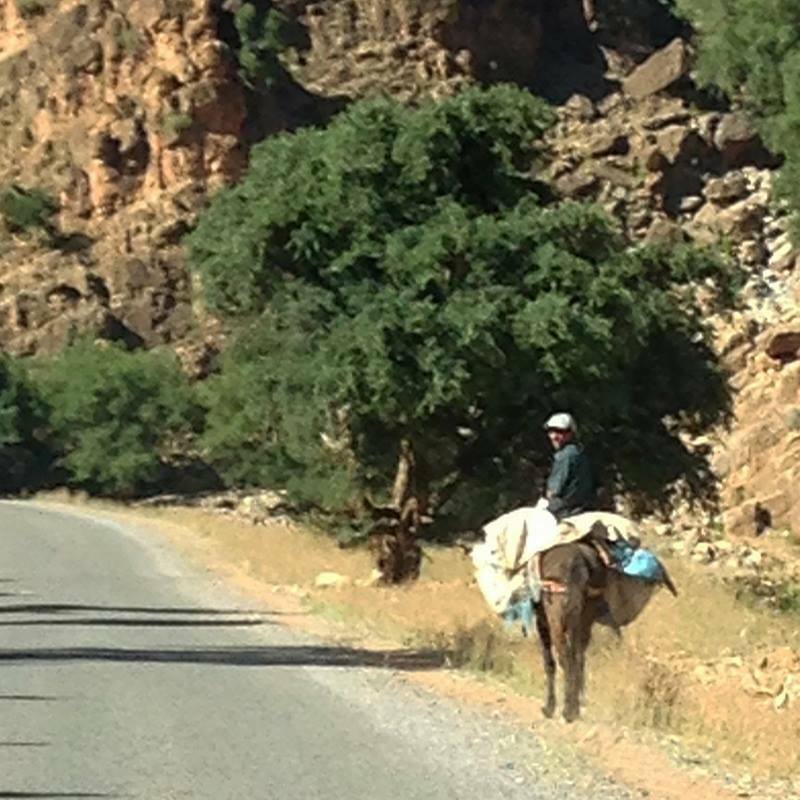 And a man riding on a donkey – the picture taken from the car as we crossed the Atlas Mountains. This entry was posted in Montessori 3-6. Bookmark the permalink.